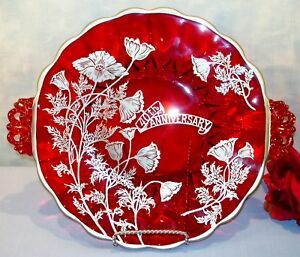 Details about Ruby Red Glass 40th Anniversary Cake Plate with Silver Overlay, 11 1/4"
Luminarc Arcoroc France Ruby Red 8" Salad Plates Set of 12! Excellent! 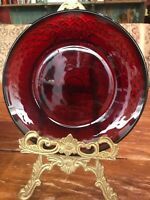 JG DURAND CRISTAL D'ARQUES ANTIQUE RUBY RED SET OF 2 GOBLETS, 8"